Fine Superwash Merino and Mulberry Silk blend to create a sport weight single-ply that's both cloud-like and durable due to its superwash element! 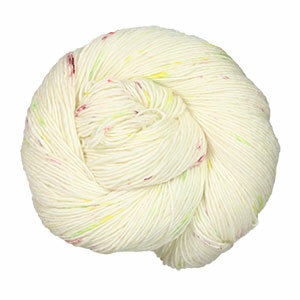 Estilo is suitable for lightweight garments and accessories, and comes in a gorgeous range of hand-dyed speckled shades. Cascade Venezia Sport Yarn is a similar yarn: merino wool, hand wash, sport (24-26 sts/4 in), 6 sts / inch, 100 gram, on size 4 US needles. You may also like Lorna's Laces Sportmate Yarn, which is another similar yarn: merino wool, sport (24-26 sts/4 in), 6 sts / inch, 100 gram, and on size 4 US needles. Hopefully our suggested project ideas for Plymouth Yarn Estilo Hand Dyed Yarn can help you come up with your next exciting new project idea!